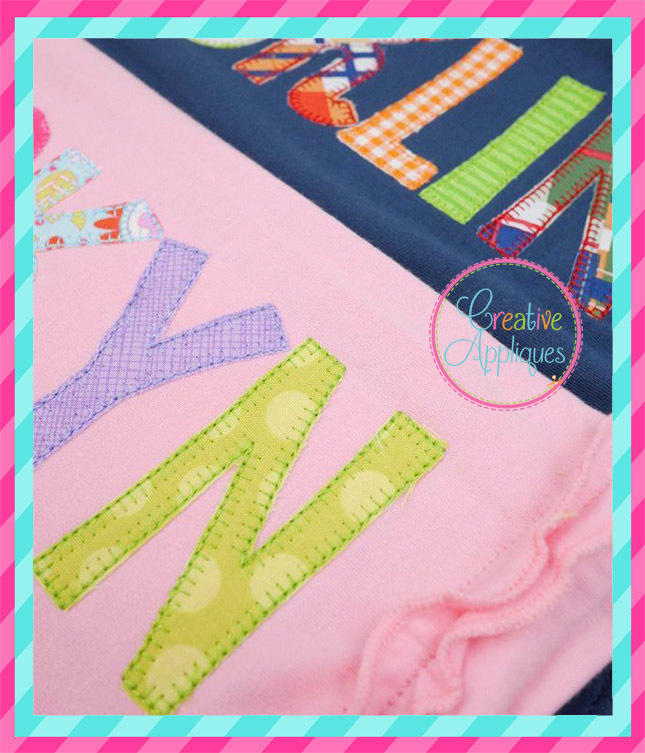 Scooter Blanket Stitch Applique Alphabet - 8 Sizes! Features a decorative blanket stitch along the edge of the fabric. Includes eight sizes. Sizes below are based on the letter A. Features a decorative blanket stitch along the edge of the fabric. Includes eight sizes. Sizes below are based on the letter A. 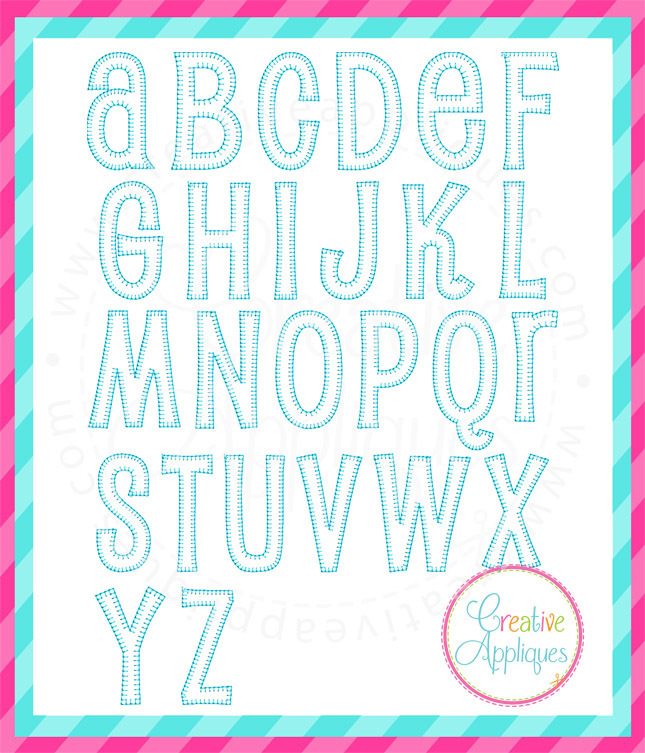 Basic Applique Alphabet - 7 Sizes! Corner of the Sky Applique Alphabet - 4 Sizes!